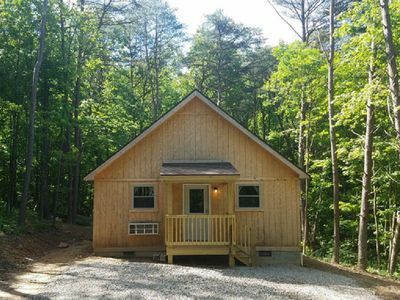 The Summit Lodge presented by CutAboveCabins is a locally-crafted, luxury cedar log home set in the heart of the Hocking Hills, just 5-10 minutes from leading attractions. 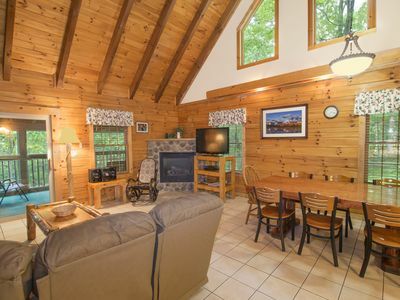 The Summit Lodge is located off a secluded township road, on a wooded hillside lot. 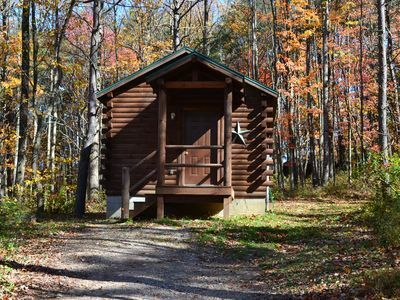 Aside from our smaller Frontier Cabin a few hundred yards away, there are no other rental properties nearby. 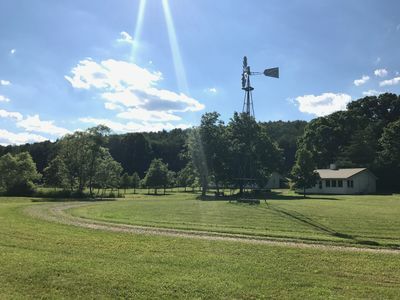 We welcome family gatherings, corporate and group retreats, and mature groups of friends seeking quiet enjoyment of the beauty the Hocking Hills offers. If you are looking for a place to party, please look elsewhere. - Lots of thoughtful extras to make your stay more enjoyable, like shampoo, conditioner and shower gel in every bath. The Summit Lodge is completed in 2014. 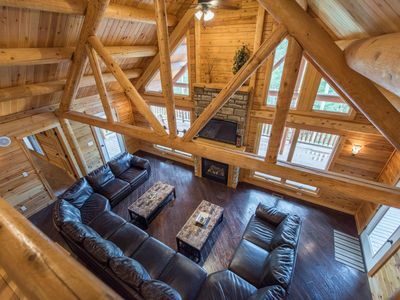 It is a custom-built cedar log home, with a spacious 4000 square foot of living space on 3 floors. It features 6 bedrooms, a loft and 4 full bathrooms and several large common areas. 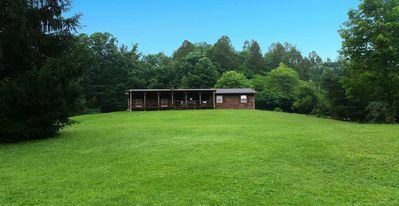 It is a great location for large gatherings. If The Summit is booked for your preferred dates, search for our other listings by these listing numbers. 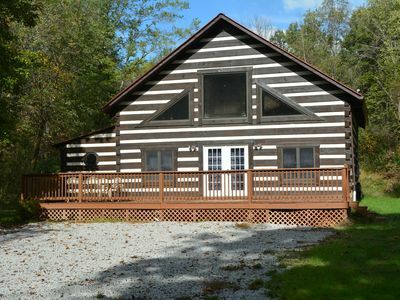 Big Pine Lodge # 1159987 Sleeps 8-25 and is wheel chair accessible! Please be certain to read the Information and policies section at the bottom of this description. - Gourmet kitchen with full-size appliances, 2 refrigerators, 2 dishwashers, granite counter tops, including a huge island. Lots of space to prep food and socialize. 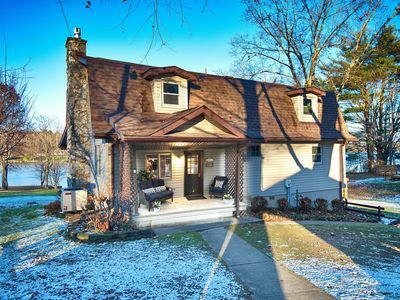 - Dining room features large custom-built table with a one-of-a-kind tree stump base. Seats 12 people comfortably. The kitchen has a bar for 4 more seats. - Hallway near kitchen features bench with storage underneath, and lots of hooks. Great area to keep your shoes and coats out of the way. 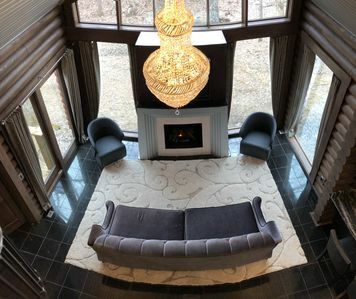 - Great room has vaulted ceiling with impressive log gables above, gas fireplace with stone chimney, massive leather sectional that seats 10+, and a flat-panel TV with HD satellite and Blu-Ray. The windows provide a stunning view of the woods in front of the lodge. You won't want to leave this room! - Bedroom/Bathroom 1: luxurious master suite with king bed, sitting area, dresser and night stands, and closet. 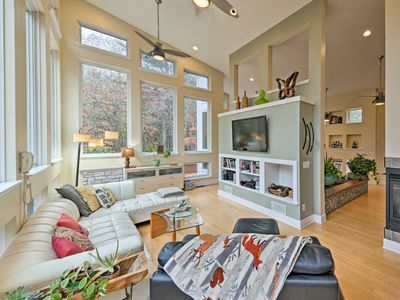 French door provides great view and access to the front deck with sitting area right outside. Attached bathroom has gorgeous granite counter top, and custom tile walk-in shower. - Bedroom/Bathroom 2: Queen bed with chest and night stand. Attached full bath. - Bedroom 3: Queen bed with dresser and night stand. French door provides great view and access to the front deck with sitting area right outside. - Bathroom 3: Spacious full bathroom, located in the hallway near the kitchen. - Huge rec room: Home theater with 60' flat panel with HD satellite and Blu-Ray, and massive leather sectional couch that seats 10+. Foosball table, air hockey table, and game table. Wet bar with sink, and a SECOND full-size fridge with water and ice. - Bedroom 1: One-of-a-kind bunk room with custom-built log triple bunk beds. Kids love this room, and it works for adults, too. - Bedroom 2: King bed, dresser, and night stand. - Bedroom 3: 2 double-size futons with comfortable mattresses, so this room can sleep up to four comfortably. Has flat-panel TV with DVD. - Bathroom 1: Centrally-located full bathroom with lots of hanging, cabinet, and counter space. - Laundry room: guest accessible, features 2 full-size washers and dryers. Great for long stays! - Two unique leather chase chairs, can be used for relaxing and sleeping. Queen size air bed. - Flat panel TV with HD satellite and DVD. 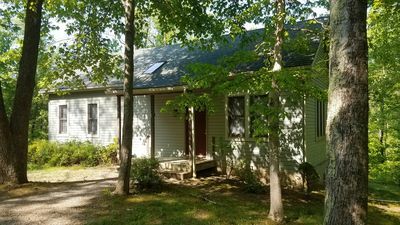 - 1200+ square feet of deck to enjoy the beautiful surroundings. - Front deck: Accessible from 4 locations, the front deck spans the entire house and features gorgeous locally-built red cedar swings and gilders. 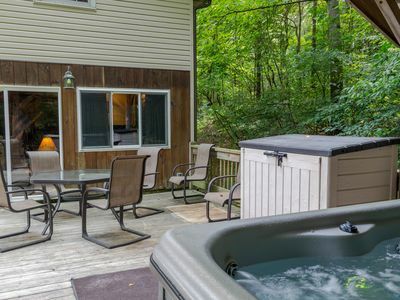 - Rear deck: Accessible from the dining room, the back deck has the largest hot tub we could purchase, an 8'x10' monster that seats 9. The high-end propane grill is also located here. 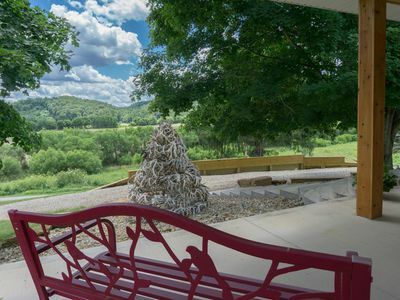 - Ground level: Outside the lower level we have a grassy area for games, and a fire pit with plenty of seating. There is also plenty of nice flat parking out here for all your family and friends. A weekend stay requires 2 nights at the weekend rate. A weekend stay is any stay that includes either a Friday or Saturday night. Holiday stays require 3 nights at the peak weekend rate if falling adjacent to a weekend, and 2 nights at the peak weekend rate if not adjacent to a weekend. Holidays include Memorial Day, July 4th, Labor Day, Thanksgiving, Christmas, and New Year's. Pricing displayed may not be correct and is subject to review before acceptance. Please send us an inquiry for a firm quote. Cancellations made 60 days prior to arrival result in a cancellation charge of 100% of the total booking. Cancellations made more than 60 days receive full refund. The base rate for The Summit Lodge is for 8 guests. Additional adults and children are $25/person/night. Maximum occupancy is 20 guests. All rates are based on 8 guests. 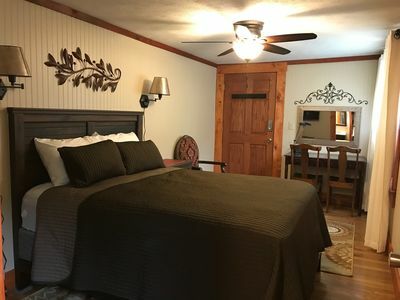 Additional guest up to the maximum will add to the nightly rate at $25 per person, per night with a minimum of 2 nights. Charging for the size of the group makes it fair and affordable for smaller groups. Children 2 and under do not need to be counted in your guest count. 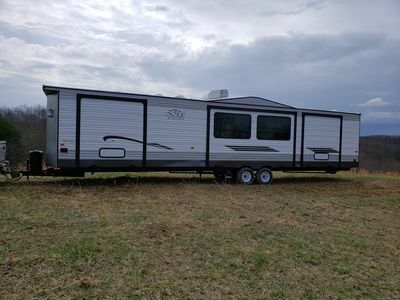 For example: The Summit can sleep up to 20 guests. The nightly rate is $799. If you have 12 guests, the rate is $799 for the first 8 and ​an additional $100 for the 4 guests for a total rate of $899 per night. The name of all guests is required on our rental agreement. You may update your guest count prior to check in, but please make sure it is accurate. The guest count will be verified by staff. At the time of booking, we charge a $500 refundable security deposit. This deposit is automatically refunded 7 days after your stay, provided that all check-out instructions are followed and there is no damage to the property. We ask that you inspect the premises and report any damages right away so that you will not be charged for them by mistake. Unless special arrangements are made, all guests who are on the property at any time must be paid for and appear on the rental agreement. Visitors are not permitted during your stay. In certain circumstances, we may be willing to accommodate visitors or special events. Please send us an inquiry with details. 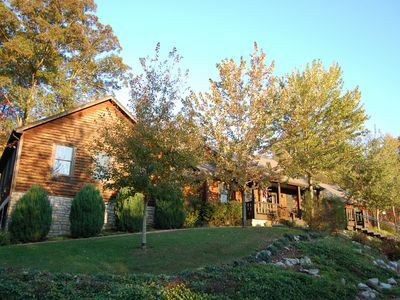 Due to the rustic hilltop location, the Summit Lodge has a steep driveway. It is paved and can be traveled by all vehicles in most weather, but 4-wheel drive is recommended in times of heavy snow and ice. During winter weather, we do our best to keep the driveway cleared of snow and ice. However, in severe conditions, it may be necessary to make the short walk up the hill. The minimum age to rent The Summit Lodge is 25. A copy of current state-issued id is required. The renter must be present for the entire booking and is responsible for all additional parties. Smoking is strictly prohibited inside The Summit Lodge. Smoking outside in designated areas is permitted. Please dispose of all smoking items properly. Pets or other animals are not permitted anywhere on the property, inside or outside, at any time during your stay. Hunting, fishing, operation of ATVs, and the discharging of firearms are strictly prohibited on our property. 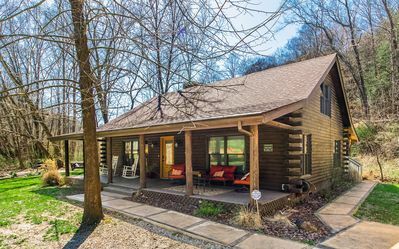 Hocking Hills 3BR 'Glass House' by Old Man's Cave! Charlotte's Cabin! 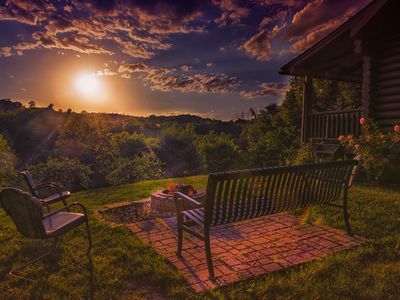 The Perfect Getaway Spot in Hocking Hills! 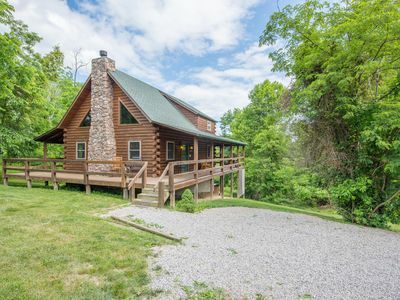 Great pet friendly cabin with wrap around decks! Close to Old Man's Cave! 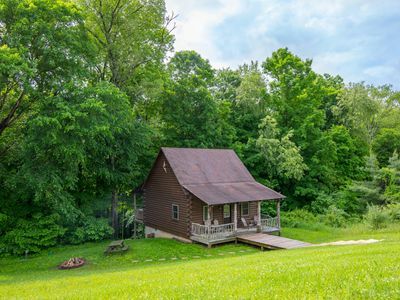 Cozy cabin that sleeps 6 in the heart of Hocking Hills. One night stays allowed. 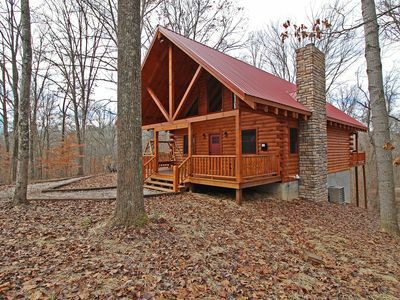 Comfy little couples cabin in the woods of Hocking Hills with a hot tub!